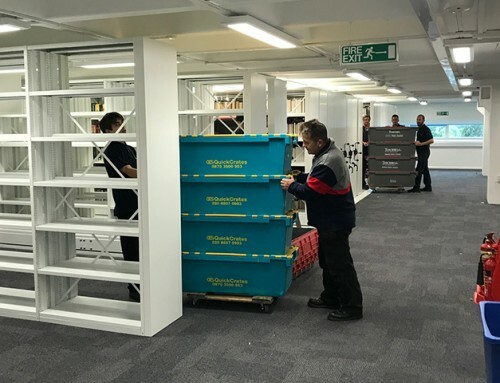 Harrow Green was chosen to help execute the move including the packing and transportation of artefacts, a comprehensive library and archive, as well as a very large plaster maquette into transitional storage sites in Wiltshire and Oxfordshire. 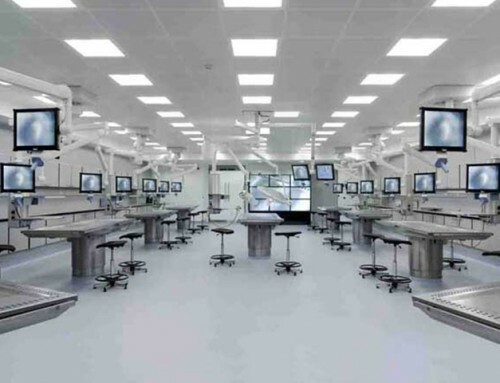 There were several major issues we had to deal with; complicated budget streams, changing timelines due to the nature of the transitional programme and the vast and varied collection requiring bespoke materials and packing methodologies. Before, during and after the project we remained hugely supportive and understanding of the customer issues as well as the need to be quick in responding to requests. Firepower: The Royal Artillery Museum was a military museum based in Woolwich, south-east London, which told the story of the Royal Artillery and the Royal Arsenal. The museum was located in some of the former buildings of the Royal Arsenal, Woolwich, which was Britain’s principal ordnance manufacturing facility from the late 17th century until the mid-20th century. More than two million men and women have served in the RA since its formation and human stories of bravery and sacrifice were told throughout the museum. The move itself consisted of items such as medals, models of guns and half cannons. Larger items included a Coat of Arms and a life size replica model of a horse and gun carriage. In addition, books, comprising the only complete collection of the Army List in the country, documents and maps were all carefully packed up. Other unusual items comprising a framed selection of cap badges, framed war medals, a French eagle plaque and a same size replica of a bunny gun were also meticulously wrapped and transported. 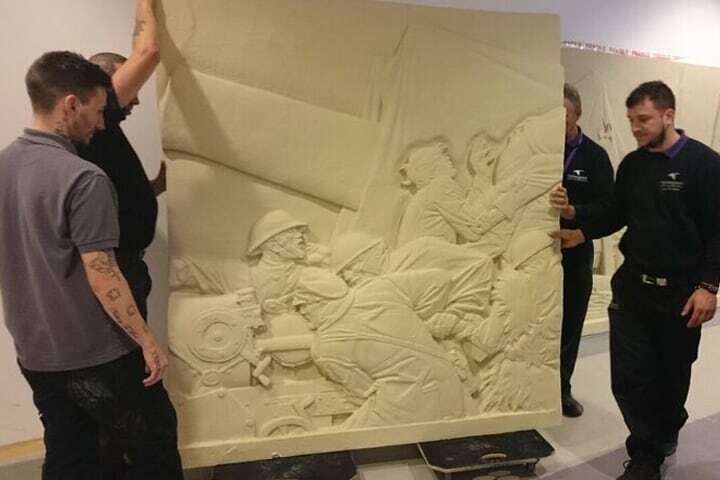 One of the biggest challenges was moving the large plaster maquette of the stone reliefs on the Royal Artillery Memorial by the sculptor C S Jagger. The maquette – an original artist’s model from the 1920s and of considerable historic value was packed and relocated using a specially written methodology by our Project Manager. Our expert team worked to very specific instructions to accommodate each piece into a tailor-made padded case, which was then further protected using materials, preventing the pieces of the maquette from being dislodged during transportation. When planning the move of the Firepower Museum, I made contact with several recommended contractors in connection with specialised heritage moves. 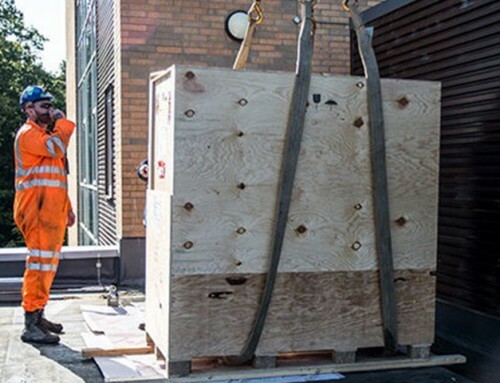 Harrow Green was amongst seven contractors I approached in order to quote for the packing and transportation of the collections. Harrow Green’s Head of Special Projects was extremely professional from the outset. He was most considerate of our major issues, I warmed to his professional and personal approach over and above the many other contractors I was dealing with and this truly paid off. I can honestly say that the packing and movement element involving Harrow Green was run as smoothly and professionally as I could have ever wished. I spent some 37 years with the Armed Forces (Army) and rarely worked with such a professional team. Much, if not all of this success, was down to their dedication, sound advice and professional approach. I would most definitely recommend Harrow Green for any similar job I (or others) may have to deal with in the future. 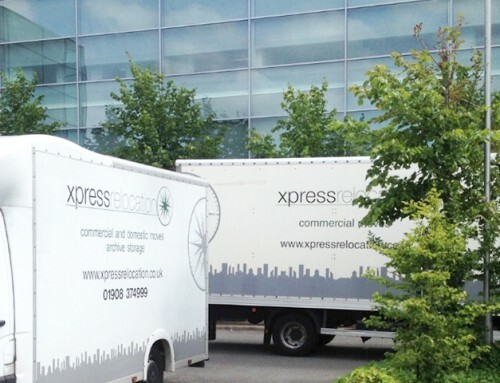 Premier Moves relocate 200 Staff at The Royal College of Surgeons in one day!